Comedian and Workaholics creator Adam Devine has made an apt comparison between gay marriage and restaurants. 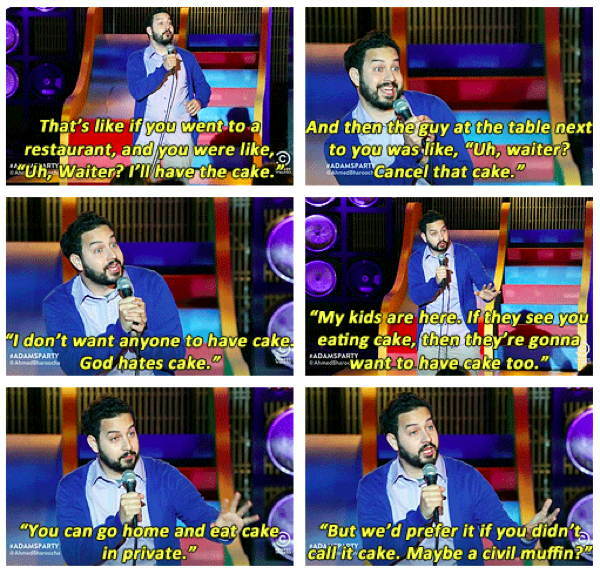 Muffins are to cake what civil unions are to marriage: inferior goods. What Would Happen If The US Opened Its Borders?